There are plenty of automotive shops that offer a free check engine light check diagnostic. However, be careful to not be misled by the available service. The free reading you receive usually just tells part of the story versus uncovering the problem in its entirety. Obviously, the check engine light indicates that something is malfunctioning but a wrong diagnosis can lead to a costly part replacement that may be unnecessary. At Gresham Auto Care, we treat your car’s check engine light with the same thorough approach that our expert ASE certified technicians perform with other services and repairs. The reading is used to verify the code that provoked the check engine light. The code indicates a problem on a particular circuit. It does not necessarily mean that there is a problem with an actual part but interference within the circuit. Gresham Auto Care will not recommend or sell you a part unless your car absolutely needs it. We do a thorough inspection along with the computer analysis to detect the cause of the problem and minimize the expense of your repairs. Your car is loaded with wires, sensors and computers. 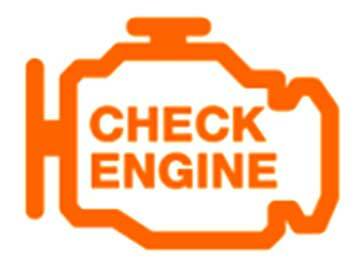 The check engine light indicates a problem, and problems do not resolve without attention. However, you will find that if the root of the check engine light indicator is not accurately diagnosed, the problem will reappear sending you yet again back to the automotive shop. Allow Gresham Auto Care to save you time by doing the diagnostic check correctly the first time. Call (919) 431-8930 or (919)-431-8931 or schedule your vehicle drop off we are here to help you!